Global music streaming market leader Spotify has just issued its latest quarterly financial report, and the July - September 2018 numbers seem to paint quite a familiar picture. Once again, the 2006-founded company that’s struggling to keep Apple Music at bay gained a healthy number of new users, premium subscribers included, while losing a bit of money all in all. Spotify appears to be inching closer and closer to profitability, though, as the €6 million ($6.8 million) operating loss reported this past quarter is significantly smaller than both its Q2 2018 and Q3 2017 deficits. Meanwhile, the rise in premium subscribers may not look impressive compared to the previous quarter (only 4 million more people), but the marginally improved 87 million total is actually 40 percent higher than the same headcount during Q3 2017. Similarly, monthly active users have grown by a solid 28 percent year-on-year, to 191 million people, which however doesn’t feel like major progress compared to the 180 million MAUs of Q2 2018. At the end of the day, Spotify must be happy to see those figures continue surging in the face of intensifying competition, especially when the company’s operating margin outperformed its own forecast. All in all, Spotify earned around $1.54 billion over the year’s third quarter, up a healthy 31 percent from the same period of last year, with “premium revenue” also up 31 percent, to $1.38 billion or so. 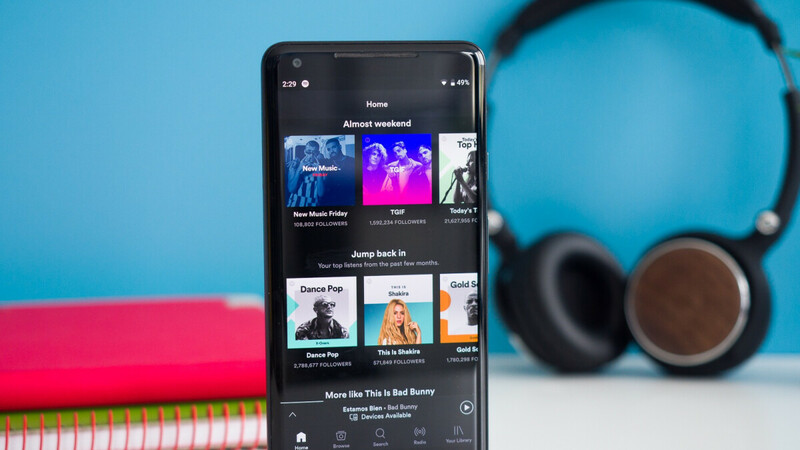 Looking ahead, the music streaming platform is expected to continue growing across the board, to anywhere between 199 and 206 million monthly active users, 93 to 96 million premium subscribers, and as much as $1.76 billion total revenue during the final quarter of 2018. Great service for reasonable price, enjoying from beginning and works over the globe, no country restrictions which is important for travelers.